Delight all your senses with an all over body sugar scrub, or perhaps a divine all over body massage with delicately warmed oils. A divine all over body massage with delicately warmed body butter. This treatment is designed to hydrate, soothe and soften your skin. 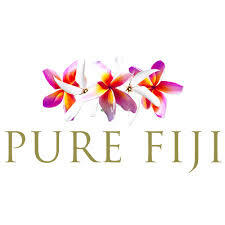 A gentle back and shoulder exfoliation using a delightful Pure Fiji Sugar Scrub. This treatment is designed to deeply cleanse your skin, leaving it smooth and refreshed. Tantalise your senses with this indulgent dry body brushing that will leave your skin feeling smooth and promote lymphatic drainage. Include in your massage for $10. Delight your senses with an all over tropical body sugar scrub. Revitalise, rejuvenate and shed dead skin. Add the delicately warmed body butter to hydrate, soothe and soften your skin. Enjoy a stress relieving scalp massage whilst cocooned in a wrap to encourage absorption of coconut oils. End with a hydrating lotion, massaged into your skin to complete your pampering. Your skin will be radiant, silky smooth and your stresses will have melted away.